My friend Natalie is a huge Doctor Who fan. Maybe fan isn’t enough of a word for her expertise and involvement. She has not only an extensive collection of rare videos, she also has an incredible knowledge of all the bonus scenes and hidden cookies. The plate was chosen carefully. Natalie has all sorts of wonderful Doctor Who (or if you go by the early years “Dr.Who”) related items. 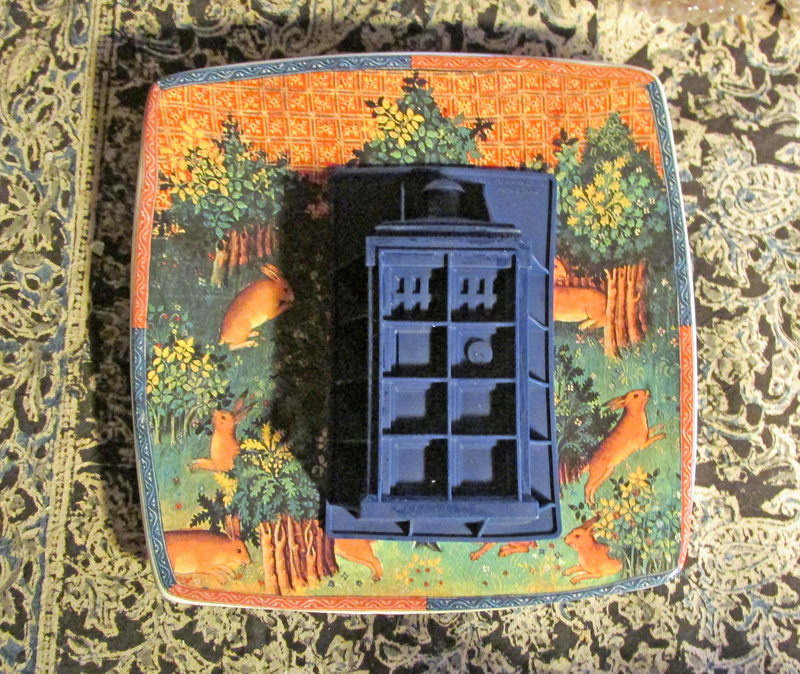 Her latest is a tardis mold, which can be used for making jello (blue of course). The problem is we aren’t really regular uses of the jello product line. 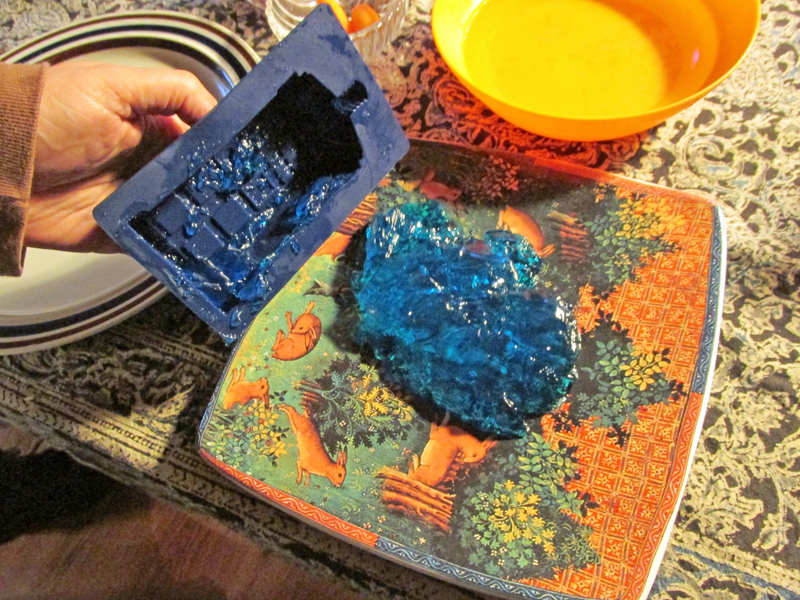 We were a little unsure quite how it worked, even with the help of the directions on the box of jello. It should also be noted we only had a small dorm type refrigerator to work with. I turned up the temperature setting thinking to help the mold set faster. Instead we sent the tardis into some sort of ice field, perhaps looking for those lost Yeti episode tapes, and it came out rather frozen. Ever hopeful, we let it defrost. Our plan was also to have the tardis land on some mysterious Medieval setting, so we picked a plate to reflect a new adventure! No boring landing spot for our jello tardis. The results were less than perfect, even The Doctor would have had problems fixing our tardis blob. 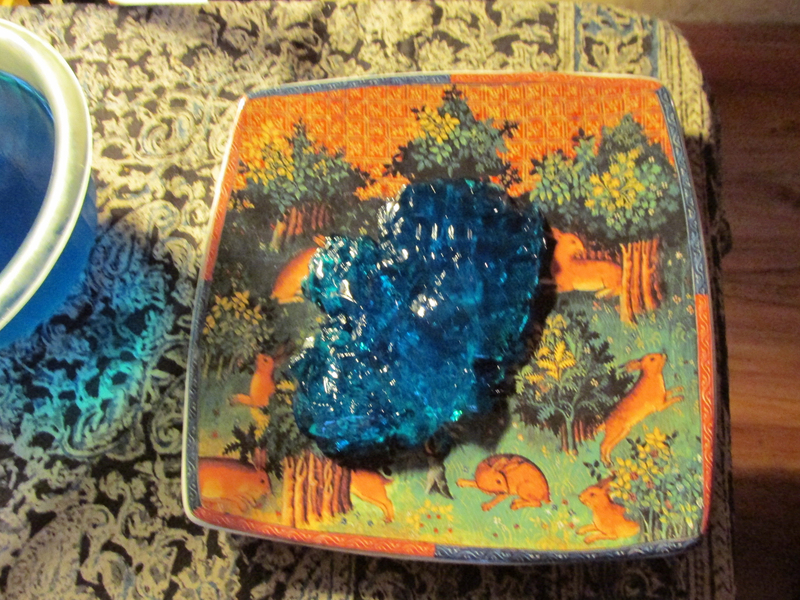 There is always next attempt, and even as a blob the tardis jello was quite tasty if not aesthetically pleasing. « Darwin Award Winners? Or Just Plain Unlucky Safe Crackers? 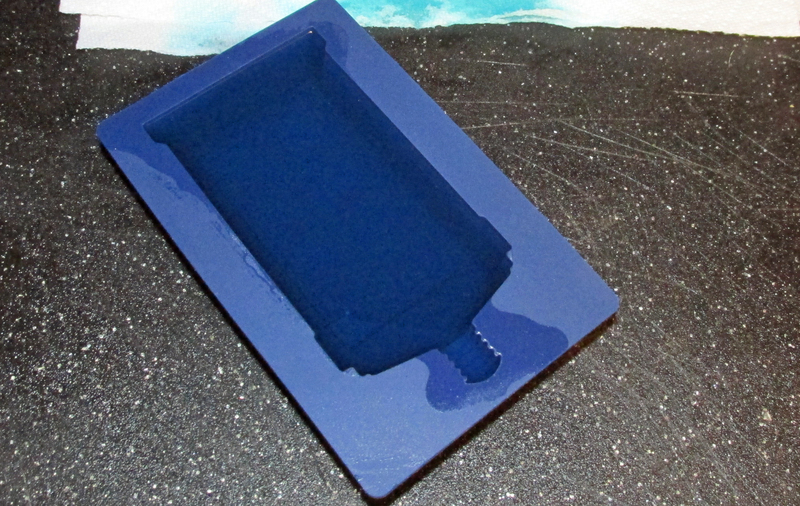 1) Spray the inside of the mold with cooking spray. Don’t worry, it won’t taste all nasty and greasy, but it will help the thing release.